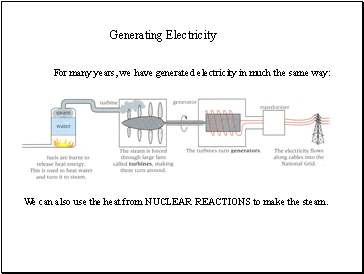 We can also use the heat from NUCLEAR REACTIONS to make the steam. 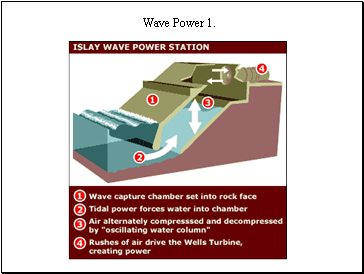 These fuels were dug out of the ground. 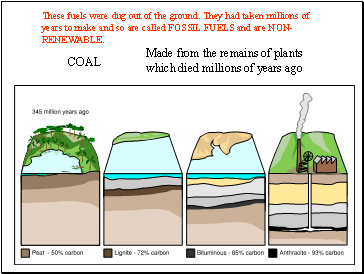 They had taken millions of years to make and so are called FOSSIL FUELS and are NON-RENEWABLE. 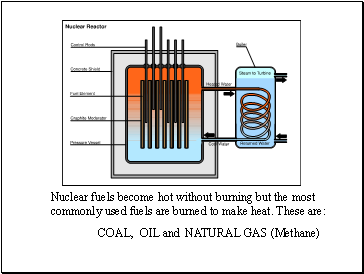 Even though it was not made from dead plants or animals, nuclear fuel is considered to be a fossil fuel because it comes from the ground and is running out. 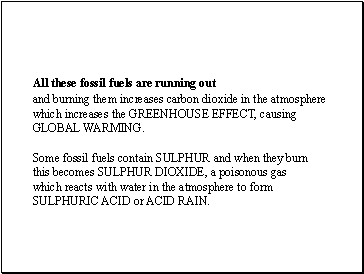 and burning them increases carbon dioxide in the atmosphere which increases the GREENHOUSE EFFECT, causing GLOBAL WARMING. 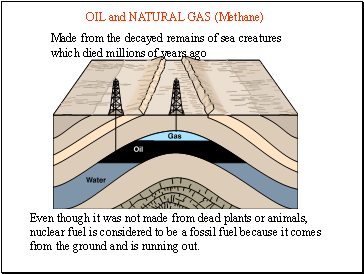 Some fossil fuels contain SULPHUR and when they burn this becomes SULPHUR DIOXIDE, a poisonous gas which reacts with water in the atmosphere to form SULPHURIC ACID or ACID RAIN. 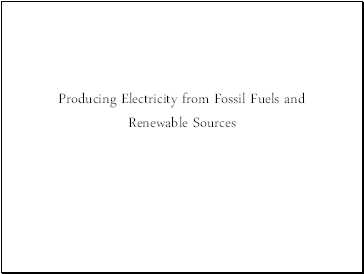 RENEWABLE FUELS such as BIOMASS (Wood etc). 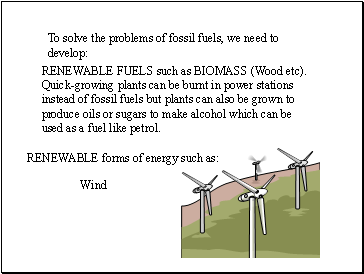 Quick-growing plants can be burnt in power stations instead of fossil fuels but plants can also be grown to produce oils or sugars to make alcohol which can be used as a fuel like petrol. 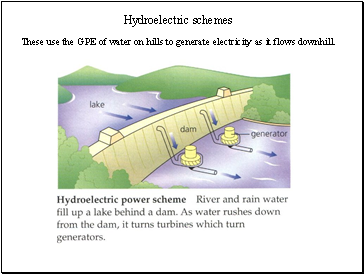 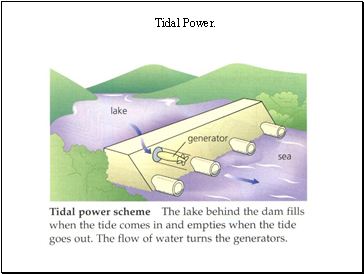 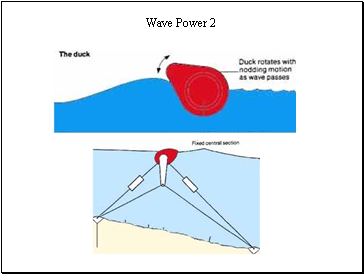 These use the GPE of water on hills to generate electricity as it flows downhill. 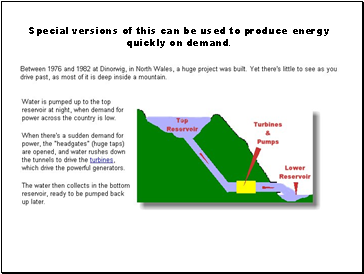 Special versions of this can be used to produce energy quickly on demand.